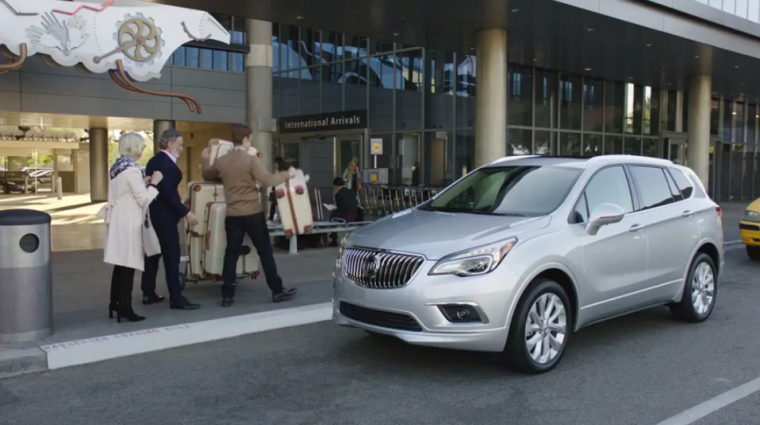 One of the fastest-selling vehicles in Buick’s current lineup is the Buick Envision. Last month, Envision sales were even up by 248.4%. Therefore, if you have bought one of these SUVs recently, then you are certainly not alone. With that said, you may want to look into a recent automotive recall that has been issued. After all, said recall involves approximately 800 Buick Envisions sold between 2016 and 2017. The reason for the recall stems from an error in the placement of an NSV universal tablet onto the model’s front head restraints. It would seem that the tablet might be installed in such a way that has the potential to prevent the head restraint from fully engaging with the seatback. If the head restraint cannot engage properly, then it could become loosened or dislodged. In turn, this could increase the likelihood of an injury during a crash. Fortunately, Buick already has a fix for the system in place. Dealers can inspect both the head restraints and tablet holder for any errors, reinstalling them correctly for free. General Motors currently is planning to contact Envision owners, though no notification schedule has been officially announced. If you want to know if your vehicle is affected right away, you can call Buick at 800-521-7300. Additionally, you can also reach out to the National Highway Traffic Safety Administration and check if your vehicle has a current recall based on its VIN number. With the Buick Envision growing more popular with each passing sales month, it is a good thing that Buick discovered this potential issue now rather than later.